Painting is one of those things you never really notice until it’s decaying or being renewed. This is why so many people forget that it is such an affordable and easy way to renew any space inside your house. A space should never be boring when it doesn’t have to be, but making something ordinary suddenly exciting can ring up a high bill, especially kitchen renovations. In fact, other than painting the walls of your kitchen and maybe trading out some knick-knacks there aren’t a whole lot of creative ways to update your kitchen without spending a ton of money and dealing with all of the dust of renovation. But cabinet painting is on the rise in style magazines and in homes across the country. Easily update cabinets of any age or condition to instantly breath new life into your entire kitchen. But tread carefully, as paint is easily messed up and, as we all know, that can be disastrous. If paint suffers, you have two options: sanding or stripping, and while sanding isn’t the worst, it requires access to expensive materials and tons of time. If you have to go the stripping route, buckle up because that’s one of the most tedious and stinky experiences you’ll ever have. If you choose to hire a professional, you will save so much time and money. The main downside to this type of kitchen renovation is the amount of time you’ll have to put in. If you decide to DIY this project, you’ll have to set aside at least three weekends; your undivided attention will be required for a precise project like this. The job itself will be of higher quality as we’ll have the equipment to use spray painting which applies far more evenly than brush paint. Brush paint is totally fine on a surface that you’re not up close and personal with all day. If you have a sense of attention to detail, then you’ll definitely prefer spray painting. Choosing anything about a renovation always seems more daunting than it actually should be. If you’re afraid to trust your gut, then use some suggestions and keep your style elements in mind. To start, take a look at the kitchen itself and evaluate. Narrow down the colors you already have in the room and the style elements that are present. If your kitchen leans on the Mediterranean side of things with flowy materials and bright colors, pick one of those colors and run with it. If you’re more along the line of French Provincial style, choose a stark white and update the handles to match the elegance of the French countryside. If you’re not sure how to classify the style, take into account the wall color, the backsplash, and your flooring and try to draw a conclusions based off of those. If you still can’t narrow down a style, it’s not a big deal, you just have to find a color that can go with the colors of your walls, backsplash, and flooring. Usually, the safe options that have a clean crisp look will be grays and beiges. However, if your kitchen is dominated by neutrals, try spicing things up with a bold, bright color. Vibrant colors like a lemon yellow or olive green will immediately change the entire flow of your kitchen. If you want something a touch whimsical, try an emerald green or light blue. If you end up with a darker shade, be sure to offset it with a white on your walls or floor to offset the dramatic color. If you can’t decide on the color, pick two contrasting colors. Use bolder colors closer to the ground and lighter colors on the top row of cabinets to add a spot of contemporary contrast. 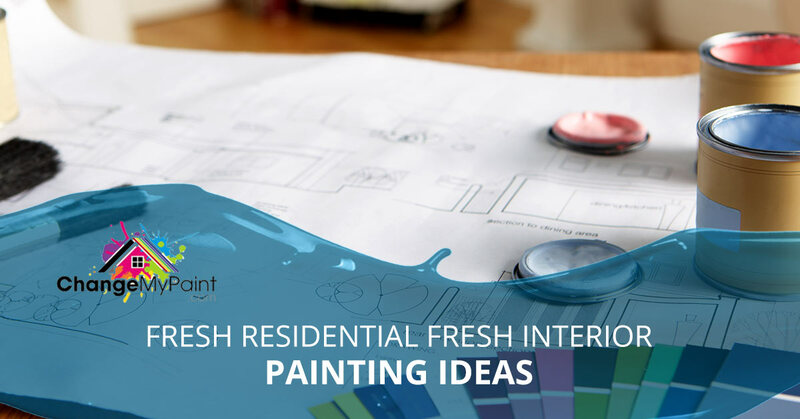 With the help of residential painting contractors, you can try more sophisticated applications of color like ombre or color blocking. At the same time, painting can be a bit of a commitment. If you’d rather ease into spicing up your kitchen try painting the shelves within your cabinets an exciting brighter color like olive green or even a mild grayish-blue hue. Reach out to Carolina Painting and Pressure Cleaning if you’re interested in updating your kitchen via cabinets or wall color. We’re here to help with all of your projects. We specialize in residential painting in Lexington and the surrounding areas. Check out our gallery if you’re interested in updating your home.